For hook-up of both modular telephone wire and coax cable from one location. One phone outlet for one or two line devices. 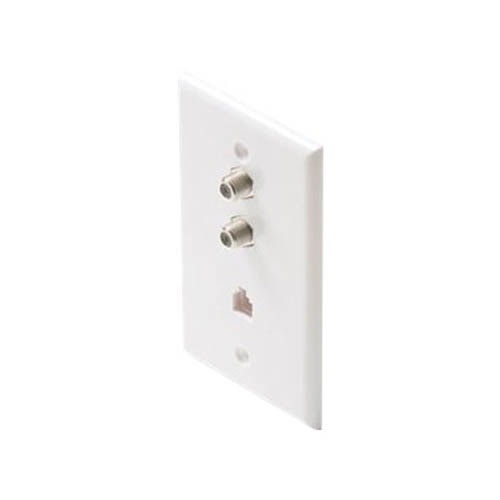 Connect cables or coax antenna wire to the screw terminals on the back of the plate. Strip 3" from outer jacket of telephone wire and 1/2" from each conductor. Connect wires to modular jack using the Wire Cross Reference Chart. Secure wall plate to junction box using screws provided.